Download "WHAT ARE THE BENEFITS OF OUTSOURCING NETWORK SECURITY?" 1 WHAT ARE THE BENEFITS OF OUTSOURCING NETWORK SECURITY? 3 Introduction. The outsourcing of network security services is on the rise across the UK. As early as 2005, Gartner, a leading information technology research company, said Outsourcing corporate security is no longer risky business and large organisations should hand off network monitoring and security services as soon as possible. It was at this point that Gartner also predicted that the future of network security is in outsourced services as well. That was one decade ago and now Gartner has said that cloud computing has become a reality and has transitioned from buzz to real business. This has changed the nature of network security and the manner in which businesses of all sizes view IT delivery. As more and more businesses are required to subject their networks to online applications and the Internet, it is perfectly reasonable to say that this means dealing with the possibility of more security threats. At the same token, with most organisations it is a challenge to provide enough staff with the security skills required to keep your in-house network secure. Deploying a staff that specialises in network security in addition to a team of network professionals that are trained to maintain the network is not cost effective for most organizations. And, in most cases, many individual networks fortunately do not suffer enough network security breaches to justify keeping a full-time staff of security experts. For the reasons we have discussed above, many corporate organisations are opting to outsource network security services to cloud providers that specialise in keeping business networks safe. Additionally, cloud service providers that specialise in network security, employ highly trained staff that are prepared to deal with network security threats on a daily basis. By addressing daily network security threats, the staff members are constantly learning more, staying up to date with the latest threats, and the methods that hackers are using to breach networks. This is accomplished at a fraction of what it would cost you to deploy network security staff on the premises. In this whitepaper, we will discuss the importance of outsourcing network security and why more organisations in the UK are choosing this route to maintain data safety and integrity. 4 What Types of Network Security Services are Available? As you research network security providers, you will find variations in the types of services each one offers. This is why it is important to invest the time to do your research before choosing a provider which we will touch on later in this article. That said, here is a general overview of the primary types of services a high quality cloud provider will offer. Penetration Testing and Vulnerability Assessment Because many organisations are opening their network to outside threats with the use of the Internet, this represents a monumental challenge for businesses of all sizes. High quality service providers perform penetration tests which are also known as ethical hacking services. The penetration test is preceded by a vulnerability assessment to determine where network weaknesses exist. The penetration test then exploits the weakness to determine the severity of the consequences if the vulnerabilities were to be discovered and exploited by hackers. Network security service providers employ staff that are highly skilled in this area. They can safely perform an exploit that is similar to those a hacker would use and then deploy the security measures necessary to prevent a real life attack on your network. Cyber Threat Intelligence The key to surviving security breaches is by identifying potential cyber threats well in advance. This is where the gathering of security intelligence is highly useful, as long as it is done in a timely manner and is actionable. Gathering data and analysis after the fact is useless and instead, you must be proactive when it comes to identifying potential security threats. Network security services are proactive about gathering cyber threat intelligence and then acting accordingly. Since this type of service specialises in keeping networks secure, the staff is in a position to instantly identify threats as well as their origin. A high quality network security service will deploy the resources necessary for data collection and establish partnerships with global organisations to collaborate on gathering cyber threat intelligence. Public Key Infrastructure (PKI) Network security service providers offer Public Key Infrastructure services that help you to manage encryption and issue digital certificates that authenticate those that are authorised to use your system. The service should include complete management of PKI systems to ensure Internet security and availability is delivered at the highest level and the system is fully managed with maximum flexibility and scalability. The network security service provides the PKI service, management tools, and ongoing support to ensure a strong Public Key Infrastructure is maintained. Your organisation still maintains control by setting specific criteria for access to the network and business applications while keeping full restrictions on all digital certificates. 5 Firewall Management A firewall is a critical tool for providing core protection for your organisation with secure gateways in and out of your network. Network security services provide comprehensive firewall protection that is managed by a team of security experts to ensure your most important data and assets are protected against threats. Firewall protection experts can create a firewall architecture that is designed to meet individual security requirements. The protection includes ongoing support and access to the latest security technologies at an affordable price. The support also includes ongoing management 24/7 and generation of security reports that help to monitor the health of your network and any potential threats. DDoS Protection DDoS stands for Distributed Denial of Service and is an attack that is used by hackers to deny access to your company website, network, or business applications that are critical to daily business operations. The attack involves flooding the target location with an excessive number of data packets which overloads the site and denies access by legitimate users. Network security services deploy applications that are capable of identifying a DDoS attack and then activating a protection system to prevent the attack from taking place. The security application is capable of identifying legitimate traffic and distinguishing it from DDoS traffic. The unauthorised traffic gets quarantined while the legitimate traffic is allowed to pass through to its destination. This way, your business never experiences any downtime and daily operations can continue regardless of the number of DDoS attacks that are attempted on your system. Security Event Monitoring A high quality network security service typically provides Security Event Monitoring or SEM. This type of service collects security data in real-time for your entire company and then analyses it to prevent exploits. The service utilises advanced technologies to prevent attacks and to prevent sensitive information from being breached which helps with meeting certain compliance requirements. The data being collected includes exactly what is on the network and who is accessing it, actual usage of the network compared with policy requirements, who may be attacking the network and the degree in which they are attempting access. It also includes identification of any weaknesses in your business applications and where improvements can be made in network engineering. This helps the network security to work with you to create an incident response plan and helps to satisfy auditors that you are striving to meet specific compliance requirements. Cloud Web Security Cloud Web Security services are designed to support all of your organisation connectivity requirements. This type of service protects all employees regardless of where they are located and ensures they can connect securely to your company network. This provides a consistent policy across the company, which includes users of mobile devices and protects your network both internally and externally. 6 Security security that is not managed well is one of the primary causes of network security breaches. Network security services deploy a comprehensive set of technologies and support that protects your network from malicious activity associated with . The technologies include advanced filtering, message security against spam, malware and viruses, and a selection of technologies that you can choose from that specifically address individual business concerns. The technologies are also designed to block all threats before they have a chance to reach the inboxes of your staff and employees. Log Management and Retention Depending upon your industry, compliance standards and requirements have gotten more demanding which makes it difficult for a lot of organisations to keep up with audits. Network security services provide log management and retention which maps and archives your entire network history of events along with system logs that reflect the steps that were taken to mitigate problems. Once the log management and retention has been archived, a report can easily be generated on demand. This assists with compliance audits and helps your organisation stay in sync with increased compliance demands. Authentication More corporate organisations are opting to use remote works and online applications. In order for this to be effective, you must deploy a solid authentication system to verify identities. Network security services can design a multi-factor authentication system that is tailored to meet the specific needs of your business. A high quality authentication system goes one step beyond the typical username and password by generating an additional one-time password. This provides an additional security measure for temporary device use and it reminds employees of the heightened security procedures each time they log into the system. This type of system can also be implemented with customers which increases brand confidence. The network security service provider provides the ongoing maintenance and support while you concentrate on daily business operations. Vulnerability Scanning Vulnerability scanning provides ongoing monitoring for any weaknesses that may have developed in your network architecture. Network security services will perform vulnerability scanning on a regular basis so a solution can be reached before an exploit takes place. Many organisations are unable to deploy the resources necessary to perform vulnerability scanning. And because this area of network security is neglected, it leaves the network vulnerable to attacks by hackers. Network security services can help your organisation develop a managed approach to vulnerability scanning which provides a more secure alternative at an affordable price. As you can see by some of the primary services we have described, outsourcing network security can have many advantages over trying to maintain network security on the premises. Let s take a look at a few more of the benefits of outsourcing your network security to a reliable provider. 7 The advantages of Outsourcing Network Security. In addition to some of the benefits we mentioned earlier, you will find that there are many advantages to outsourcing network security. In this section we will provide you with some of the primary ways your company can benefit from this type service. Access to Advanced Skills and Expertise Network security service providers employ an entire IT staff with specialised skills in all areas of information technology. The broad range of expertise that is used to offer outsourced network security services would be very costly for most organisations to deploy on the premises. When you outsource network security, you have access to highly trained staff at a lower monthly cost than if you were to employ professionals with this range of expertise in-house. More often than not, the cost is less than what you spend to employ a single IT professional on the premises. Around the Clock Network Monitoring Hackers can launch an attack on your network at any time of the day on any day of the year. When you outsource network security, the service provider deploys the applications and skilled expertise that constantly monitors your network for potential exploits. This allows a potential problem to be immediately identified so the proper steps can be taken to mitigate the issue. Proactive vs. Reactive Approach Instead of reacting to a problem after the fact, outsourcing your network security allows your company to take a proactive approach to keeping your network secure. This means that the service provider can prevent attacks from happening in the first place. In addition, they can respond to any potential attack and block it before it is allowed to get worse. Cost Savings When you outsource network security to a service provider, you have access to the security skills you need without the high costs of hiring an entire team. Your company can save a substantial amount of money simply by hiring a service provider with the security staff to manage and monitor your network. Although it is still possible for your company to create detection and response strategies on the premises, it is hardly ever cost effective. Staffing 24/7 365 When you outsource network security to a service provider, they employ security personnel around the clock 24/7 365 days a year. This typically requires multiple employees, which includes supervisors and backup professionals with specific skills and expertise. Even though your company may have the budget to employ a staff of this size, the skills and expertise may not be readily available on today s job market. Additionally, outsourcing with access to a team of professionals is cost effective, especially when you think of it in terms of your own healthcare. You may only need your physician once or twice a year however, when you need them right away you may also require a team of specialists depending upon the health issue. The only other alternative is to hire an entire team of physicians that are readily available to wait in the wings until you are ill. This is why you typically visit a hospital in an emergency to access an outsourced team of medical professionals that are readily available to assist. 8 Access to Updated Knowledgebase Outsourced network security services deal with network threats on a daily basis. This means they are up to date on the latest threats that are occurring on the Internet. If the service provider learns about a new attack, they can use this knowledge to protect other customers as well. To an outsourced security provider, network attacks are a daily occurrence. The experts are trained in a variety of different attack responses since they have had experience with them in many prior instances. Best Practices on How to Choose a Provider. It can be difficult to choose an outsourced network security provider if you are unsure of how to go about the process. Depending upon the needs and requirements for your organization, the methods you use to choose a provider will vary. However, there are a few key practices that should not be overlooked when choosing a service provider. Ask Around and Get Recommendations Consult with companies and people you trust and ask about their network security services. If they outsource their network security, get the lowdown on how they feel about the services they are receiving. Are they happy with the service? Has it been proactive in preventing attacks? Would they recommend you use the service? Do they trust the service provider? Use an Industry Analyst Find an industry analyst and ask them about the top network security providers. Industry analysts are in the business of helping companies find reliable and trustworthy service providers. This will help you find a leader in the industry instead of a service provider with very little experience or a non-established track record for providing stellar service. Network security service providers that are established will provide you with the peace of mind that the company will not close its doors at a moment s notice. Find a Specialist Try to avoid a service provider that has a potential conflict of interest. For example, you may find a service provider that sells security products in addition to managing them. This may mean if a security issue is discovered on your network, the service provider may not notify you and instead, simply fix the issue without saying anything. Additionally, service providers that offer network security consulting services and offer network monitoring and occasional vulnerability scans also demonstrate the same type of conflict of interest. This is because they view the managed services as a way to sell you their consulting services. By using a service provider that specialises in network security and invests the money to employ the staff, they will have your best interests in mind when it comes to protecting your network. A company that takes a one size fits all type of approach will tend more to be a jack of all trades and master of none. 9 Service Provider Financial Health As the concept of outsourced services has grown in popularity, the number of service providers has significantly multiplied. Some of the providers have a well-established track record and sound financial health where others closed their doors within the first few years. When you are in the process of choosing a network security service provider, it is always essential to learn all you can about their financial health. If the company is operating on shaky ground, the chances are higher you could be left stranded if they suddenly go out of business. This is the last thing you would want to have happen, especially when it comes to the security of your organisation. Compliance Meeting compliance standards and requirements often involves a huge undertaking for corporate organisations. Most of this stems from deploying the technology and staff necessary to ensure positive results when it comes to audits. This often results in large IT capital expenditures depending upon the industry. 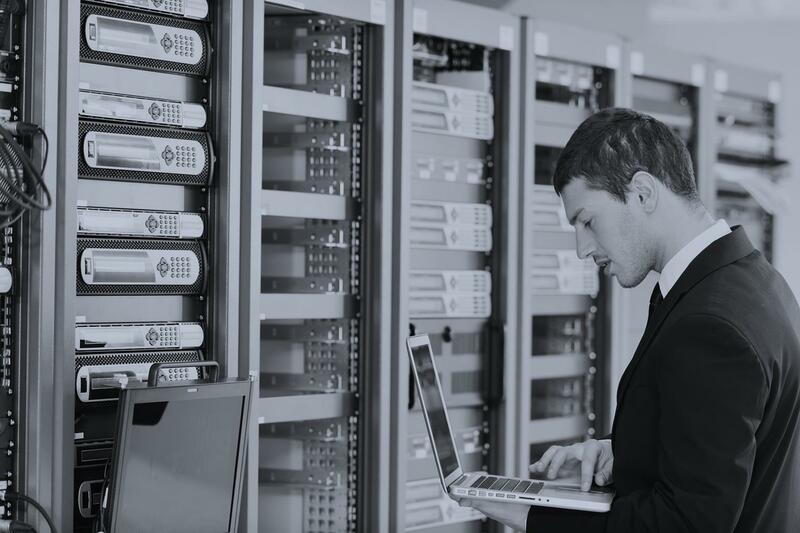 When you are choosing a network security service provider, it is important to determine if they can ensure your organisation remains in compliance with the standards for your specific industry. Most of the high quality service providers have gone to great lengths to pass ISO and PCI compliance certifications. Some of the providers also have specific certifications that are necessary for certain types of industries. Service Level Agreements Service Level Agreements (SLAs) ensure that you are always receiving a specific level of service from the network security provider. Some outsourced service providers use a one size fits all type of approach when it comes to offering you a Service Level Agreement. This often leaves a lot of holes and leads to misunderstandings and problems. When you choose a network security provider, make sure they are willing to customise an SLA that addresses specific requirements and expectations for your company. This will ensure all bases are covered and will reduce any misunderstandings that can occur from a one size fits all approach. Conclusion. It is important to remember that we outsource things for a specific number of reasons. The first is complexity when it comes to network security and breaches that occur in the middle of the night. The second is the importance of network security and the intricacy involved with modern networks. This means if you want the best security possible, it is nearly impossible to make budgetary cuts in this area. Additionally, as more companies open up their networks to the Internet, the number of threats increases. The third is that network security must be proactive for it to be effective. This often represents a costly proposition for most corporations and involves a significant investment of time and money. For these reasons and more, outsourcing network security makes perfect sense in this day and age. It also increases security while reducing the number of attacks on your network as well which is the very reason more UK companies are choosing to outsource network security. 10 Who are Complex IT? Complex IT was born from the vision of creating a unique solution for organisations that require an additional skillset for assistance with an extensive range of complex IT requirements. Today, our vision is realised through a diverse range of strategic consultancy services, IT advisory solutions, complex IT application and fully managed IT solutions. These services are underpinned by over two decades experience in the London IT services sector, where we cater for some of the most demanding organisations in the heart of our capital city. Long-term relationships are built upon trust, and today, over 250 UK clients entrust us with their IT. We continue to deliver critical solutions, applying sector specific intelligence for the continuous improvement of IT infrastructure, mobile technologies, cloud-based communication and the provisions of data security strategies. We never knowingly apply short terms fixes, only medium and long-term solutions for accomplishing continued business improvement. The highest standard of service cannot be applied without continuously improving our own resources. It is our responsibility to ensure that our team of consultants, technical engineers, project managers and business thinkers have the present competencies required to expand upon their existing skillset. Recognised company accreditations include ISO and 9001, Microsoft Gold partner status, Microsoft Small Business specialist, VMware Enterprise partner and Apple specialist certifications. WHAT ARE THE BIGGEST THREATS TO BUSINESS DATA SECURITY? The Challenges Posed by BYOD. MANAGED SERVICES PROVIDER. Dynamic Solutions. Superior Results. Managed Intrusion, Detection, & Prevention Services (MIDPS) Why E-mail Sorting Solutions? Why ProtectPoint? WHAT IS RANSOMWARE AND WHAT CAN I DO TO HELP PREVENT AN ATTACK? A 123Together.com White Paper. Microsoft Exchange Server: To Outsource Or Not To Outsource The affordable way to bring Exchange to your company. Guide. Email is vital - but it s not your business! NCS 330. Information Assurance Policies, Ethics and Disaster Recovery. NYC University Polices and Standards 4/15/15. Digital Pathways. Harlow Enterprise Hub, Edinburgh Way, Harlow CM20 2NQ. 0844 586 0040 intouch@digitalpathways.co.uk www.digpath.co. Managed Security Monitoring Quick Guide 5/26/15. 2014 EarthLink. Trademarks are property of their respective owners. All rights reserved. Driving Company Security is Challenging. Centralized Management Makes it Simple.